According to one alleged accounting of the Ravi Bhalla fundraiser last week, the new mayor scored with a $50,0000 haul. While we await the ELEC report showing the take, what is the over and under how much of the money came from outside Hoboken? 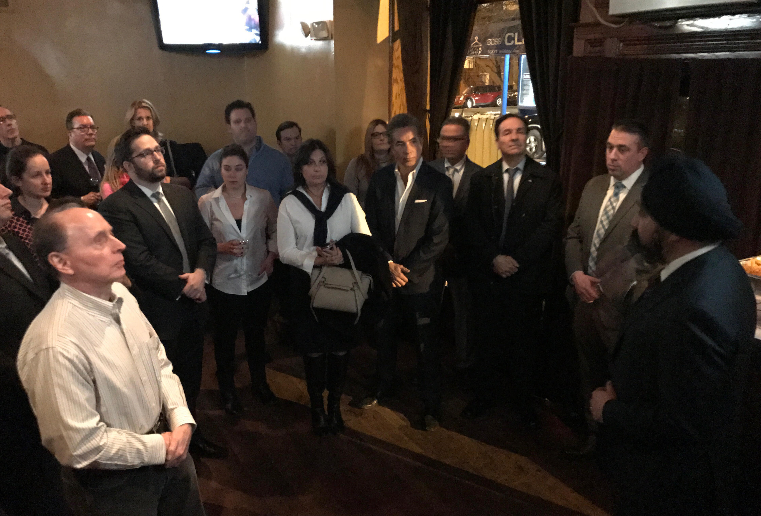 While the new mayor not three months into office pulled in an astounding $540,000 in last year's four-month mayoral campaign, he was not Hoboken's favorite candidate. Bhalla depended on monies mostly from outside Hoboken and PAC monies to reach the finish line. Who was responsible for elevating him to the finish with a controversial and suspicious "terror flyer" in the final days officially remains a mystery. Councilwoman Jen Giattino was Hoboken's favorite candidate in grassroots support. Her unplanned candidacy saw well over 80% of her funding come from Mile Square City residents. Is that why Ravi Bhalla declared war on her and Tiffanie Fisher with 18 months to go before the next council ward elections? On Saturday, a national rally against the civil rights of Americans to self-defense took place outside City Hall. Hundreds of people came out to see their Second Amendment rights removed and urged it against their fellow Americans. Things are much neater when the police arrive with the ambulance to draw the chalk lines and pick up the bodies. This after the shootings in Parkland Florida where the Broward County school system implemented the "progressive" policies not to discipline children under the law or its school regulations and the police did nothing after DOZENS of visits to the shooter's home, literally. They followed the "progressive" protocols. Then there were the two tips to the FBI, both ignored and the warnings to school officials. 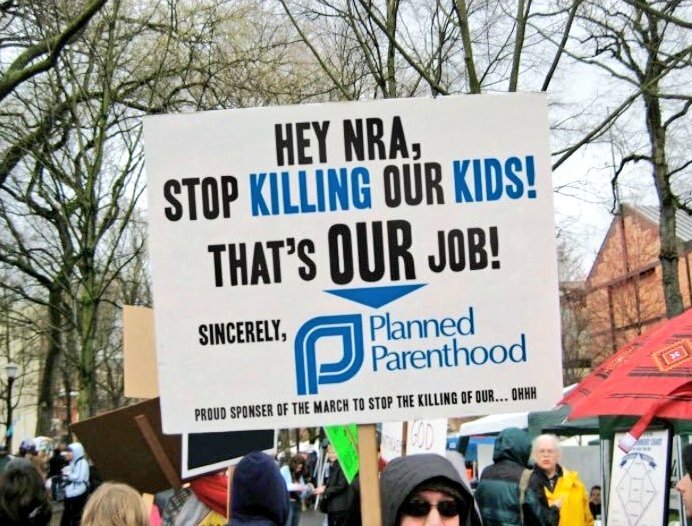 In the end, do you notice how the name of the shooter is ignored as the "progressive" plan to disarm law-abiding Americans proceeds? A school official designated to protect a Maryland school saw the shooter taken down quickly last week but that common sense suggestion is dismissed. Doesn't fit the agenda. Did you notice the big Soros money and other "progressive" organizations behind the effort? Until mental illness is addressed in the county, terrible incidents will occur. Murder whether with a rifle or a bomb is illegal. Putting up "gun free zone" signs is so effective. It's not, but it does make the people putting up the signs feel so smug and superior. Until then, Americans are assaulted with "it's for the children." Let's try to believe that as we examine one of the crisis actor props seen below at the rally in DC. CBS News reported 200,000 people turned out for the event. 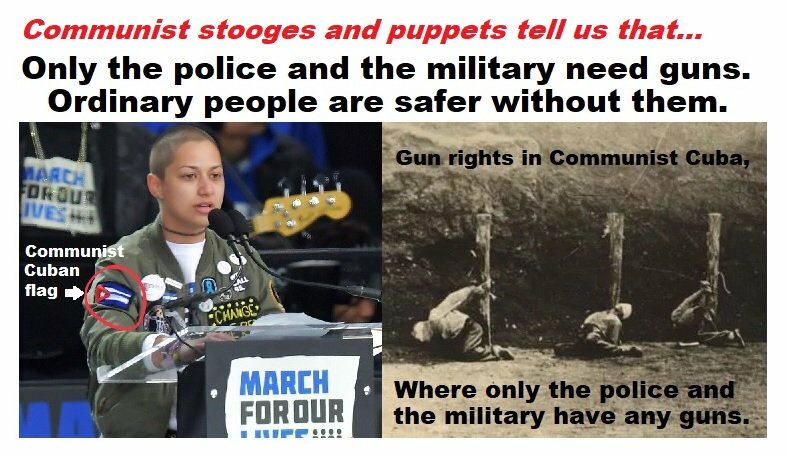 In DC, 200,000 people turned for the rally there and other places against the Second Amendment while one of the central crisis actors sported the Cuban flag on her sleeve; the communist version. Indoctrination is well-underway in our "progressive" education system. The progressive policies that led to the Parkland shooting are intentionally ignored. Facts like the name of the shooter too many wish to ignore goes entirely unmentioned now. The document pushed right from the top of the former White House is called, "Collaborative Agreement on School Discipline," no irony intended. Now there's something to cry about.